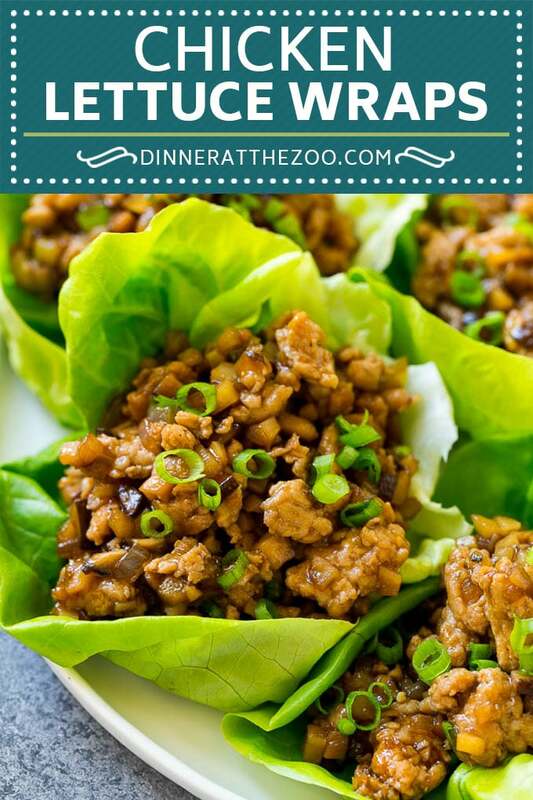 These chicken lettuce wraps contain ground chicken and veggies cooked in a savory sauce and served in cool lettuce leaves. A PF Chang’s copycat recipe that’s super easy to make and tastes just as good as the restaurant version! I can never resist ordering chicken lettuce cups when I see them on the appetizer menu at my favorite Asian restaurant. They’re flavorful, yet light enough to be the perfect start to the meal. I make this homemade version constantly, we can’t get enough of these amazing lettuce wraps. If you’re all about a quick and delicious lunch or dinner, these chicken lettuce wraps are quite satisfying. 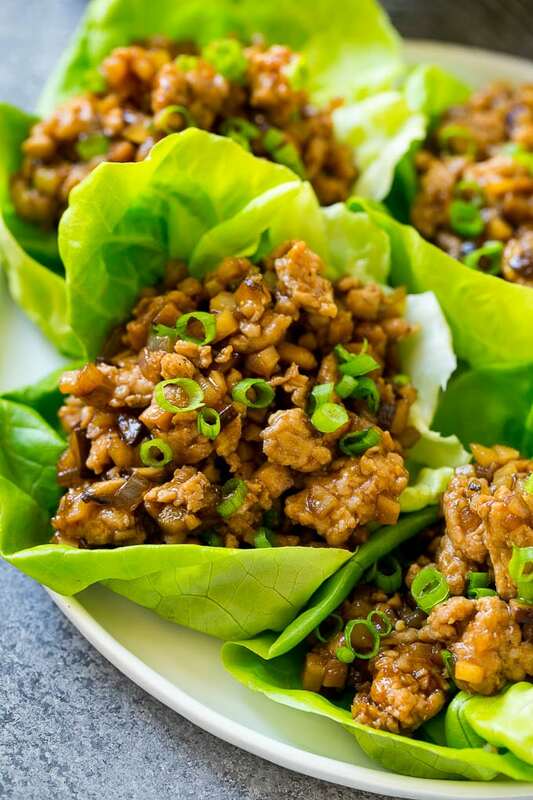 Made with light and healthy ground chicken, these PF Chang’s lettuce wraps are even great for a party appetizer. Plus, they’re easy as can be which makes them even better! HOW DO YOU MAKE CHICKEN LETTUCE WRAPS? 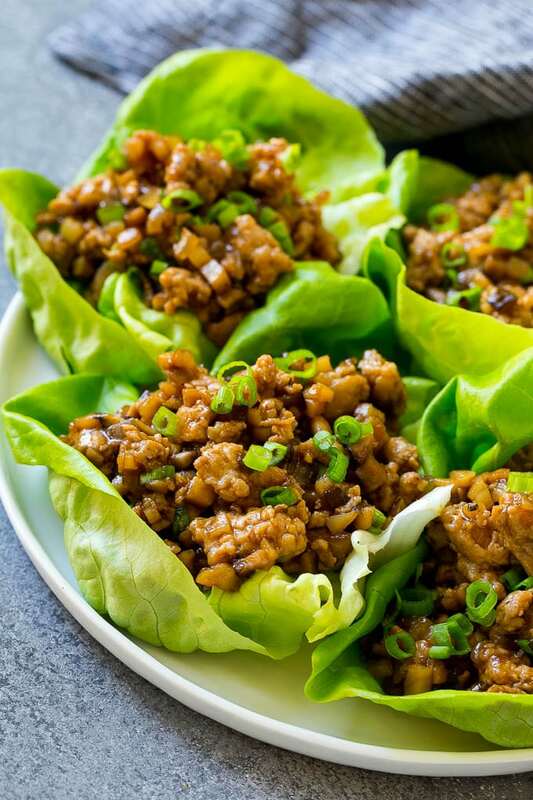 To make chicken lettuce wraps, you’ll begin by adding your ground chicken to the pan and browning it before adding mushrooms and onions to the pan. Add your water chestnut, garlic, and ginger, then whisk the hoisin and soy sauce mixture in a separate bowl. Pour the sauce into the pan and spoon the delicious ground chicken into the lettuce leaves. If you’re struggling finding the ground chicken, it’s usually found in the meat area near the ground turkey. If you don’t end up finding any in your store, ground turkey works just as well for your PF Chang’s lettuce wraps. The hoisin sauce mentioned in the recipe can be found in the Asian food aisle and is a slightly sweet sauce which really adds a lot of flavor to Asian dishes. Great lettuce options for this dish are iceberg, romaine, or butter lettuce. I prefer butter lettuce due to its flavor and shape. I use shiitake mushrooms which are an Asian mushroom found in the produce aisle along with the other mushroom varieties. If you can’t find shiitake mushrooms for your chicken lettuce wraps, regular button mushrooms will do just fine. 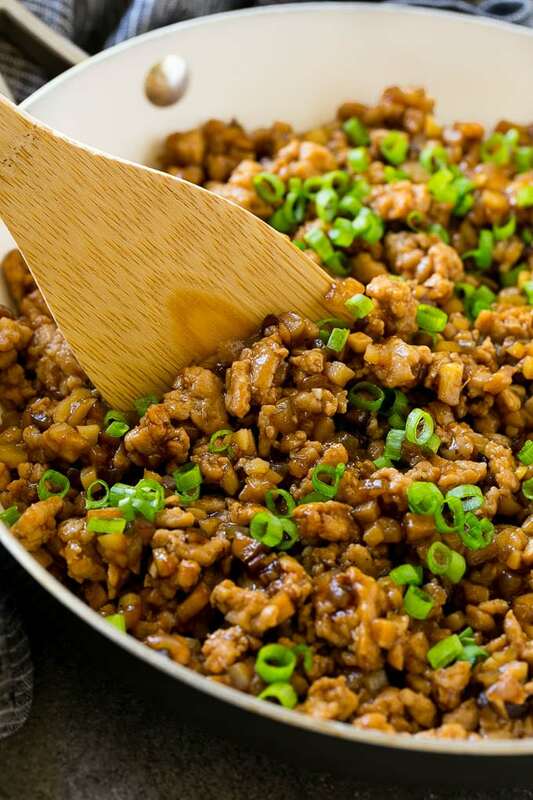 WHAT ARE THE HEALTH BENEFITS OF GROUND CHICKEN? Chicken in general has less saturated fat than most meats such as steak or other red meats. Ground turkey is also a lean meat with a similar nutritional profile to chicken. 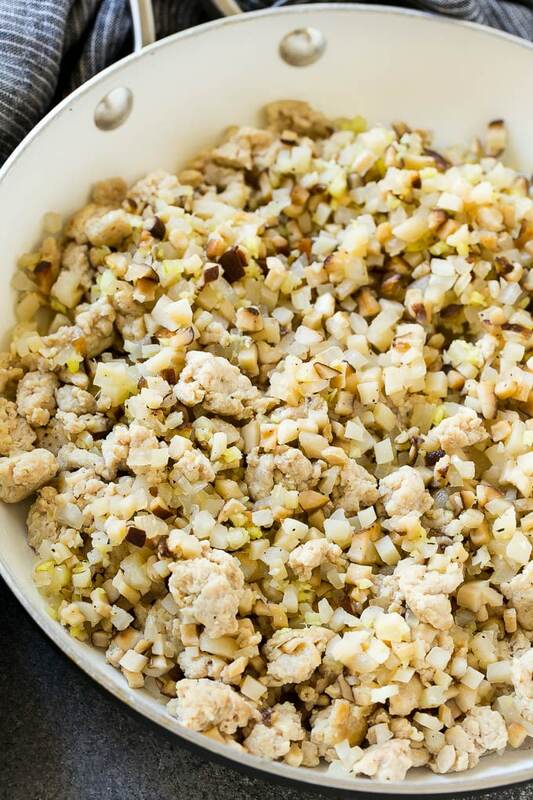 Ground chicken is a little easier for your body to digest but is mostly just easier to cook. Butter lettuce is similar to bok choy in appearance although the leaves are longer. Iceberg lettuce is rounder in appearance while romaine lettuce looks similar to butter lettuce in a more oblong shape. Iceberg tastes more watery while, in my opinion, butter lettuce has a richer flavor and tastes less watery yet is still plenty crisp. I love how easy these chicken lettuce wraps are to make. I’ve served them at get togethers before and they always go over extremely well. I think people really enjoy a delicious yet healthier option when it comes to parties. They leave feeling better than a greasy or heavily processed appetizer! 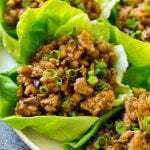 These chicken lettuce wraps contain ground chicken and veggies cooked in a savory sauce and served in cool lettuce leaves. A PF Chang's copycat recipe that's super easy to make and tastes just as good as the restaurant version! Heat the oil in a large pan over medium high heat. Add the chicken and season with salt and pepper to taste. Cook the chicken for 5-6 minutes, breaking up the meat with a spatula, until mostly cooked through. Add the mushrooms and onion to the pan. Cook for 4-5 minutes or until vegetables are soft. Stir in the water chestnuts, garlic and ginger. Cook for 1 more minute. 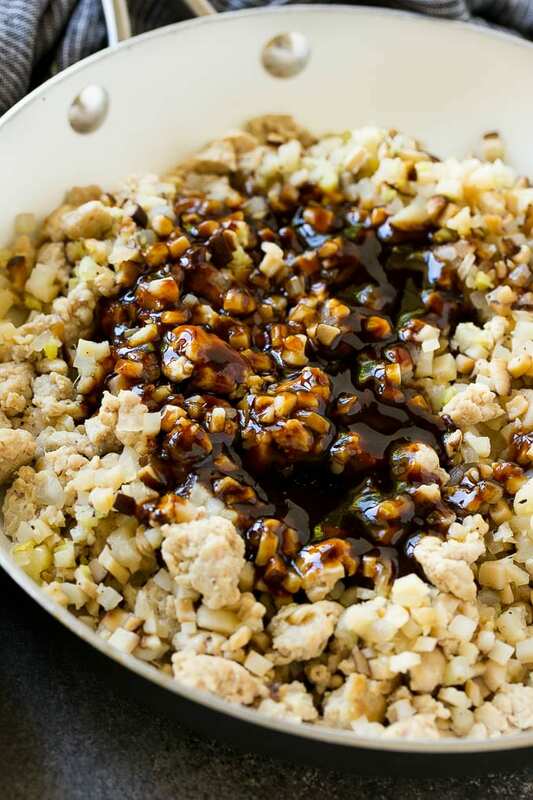 In a small bowl, whisk together the hoisin sauce, soy sauce, rice vinegar and sesame oil. Pour the sauce over the ground chicken mixture and toss to coat evenly. Sprinkle the green onions over the chicken mixture. Spoon the chicken into the lettuce leaves and serve. My daughter basically followed the recipe last night, and it was delicious! I know what you are talking about with dinner being a zoo: with 7 children in 11 years, dinner time could be pretty stressful! Now each one of our children can cook–nearly 5 of them having “graduated” from home, and so it is a really a gift to see the satisfaction they get from preparing meals for themselves and others. Thanks so much for going to all this work to share this yummy recipe with all of us!! So glad you enjoyed this one, hats off to you for having 7 children!! I followed this recipe exactly. It was perfect!!! Made with coconut steamed rice. Incredible. Family loved it. SO glad to hear you enjoyed it, thanks for commenting! I love this recipe. My entire family loves it! I added peanuts, bell peppers, and carrots. I just made sure they are all the same size. I had to bulk it up and add more veggies because I have a toddler son. 🙂 So so yummy! Do you have to use mushrooms? I have a reaction to them so I never use them. This recipe is just what I was looking for. You can omit the mushrooms! I make these all the time now! One of my family’s most requested dish! Can i freeze left overs? Just made these tonight and everyone, including my 5 and 3 year olds, gobbled them up! Made them exactly by the recipe except using turkey instead of chicken. Thanks for a new healthy, easy dinner option! 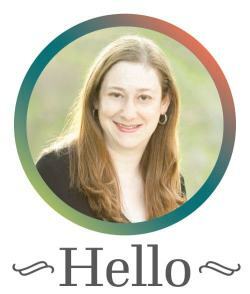 So glad to hear you enjoyed it, thank you for reporting back! Made it tonight. Oh my gosh! Delicious. I used what I had for the sauce (soy sauce, hoisin, brown sugar, balsamic vinegar, oyster sauce and red chilli flakes). I also added some sesame seeds with the mushrooms and ginger. Husband loved it too. Definitely in the rotation! So glad you enjoyed this recipe, thanks for reporting back!